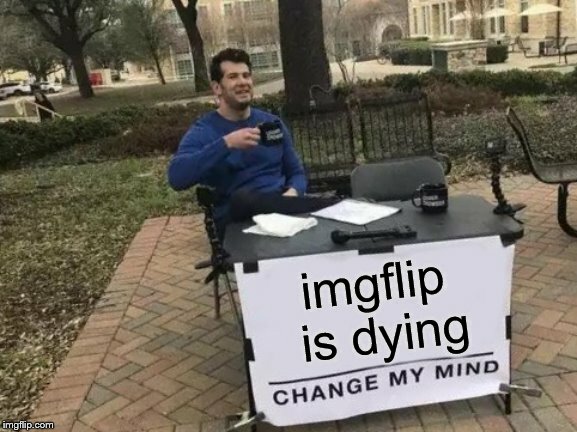 What has happened to Imgflip? Why are people leaving? Mods, please consider positive changes soon, something isn't right. yes, i agree 100%. 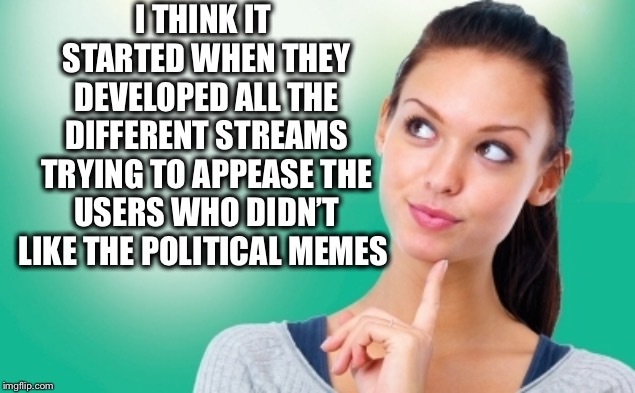 just one separate stream for politics would have been fine, but now everyone seems to have their own stream, and everyone can be a mod, and everyone seems to just have their own little clique. 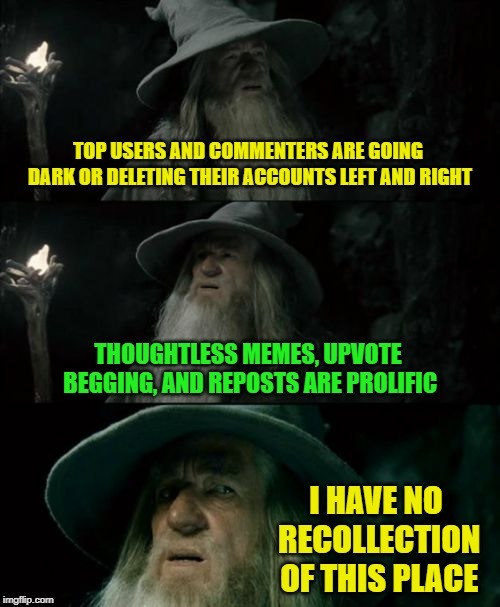 the good memes might be getting posted in places that no one is seeing. A huge chasm has formed. And there’s a black void we’re heading towards. But nothing like this, is ever as bad as you think it will be. Something will happen to kick start everything again? Maybe I’m just being too optimistic. i'm trying not to get pessimistic, i think that would only contribute to the blight that's going on right now, but it's hard not to be frustrated. I have met many good friends through this website, and honestly it's a little lonely without seeing the comments fly back and forth the way they were even a few weeks ago. But, as you so rightfully stated, something will likely kickstart things back up again. stay optimistic, and i'll try to keep it up myself :) I haven't been posting as much lately but it's more out of busy-ness than lack of interest, staying active in comments as much as possible. I agree. Something seems to be going around that seems dark. I remember Raydog visiting people’s memes (at least the front page memes), since he did commment on my first successful meme. But now he seems less interactive, and I think the rank is the only thing that is keeping him here. And Dash definitely didn’t leave without a good reason. 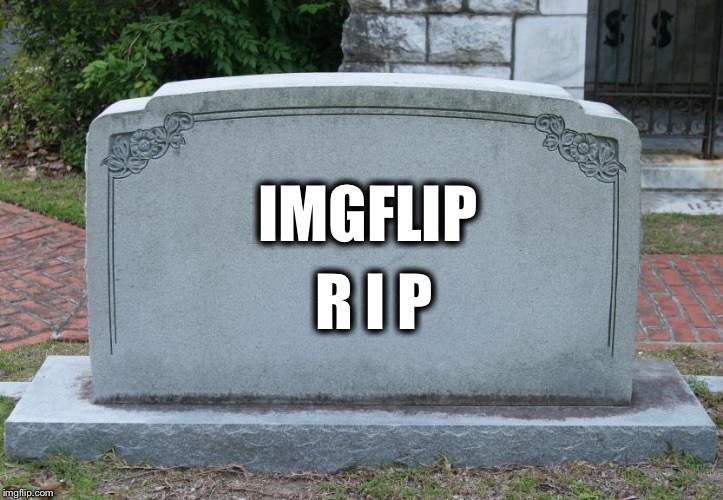 I think Imgflip is headed to it’s downfall. Was there a reason given? 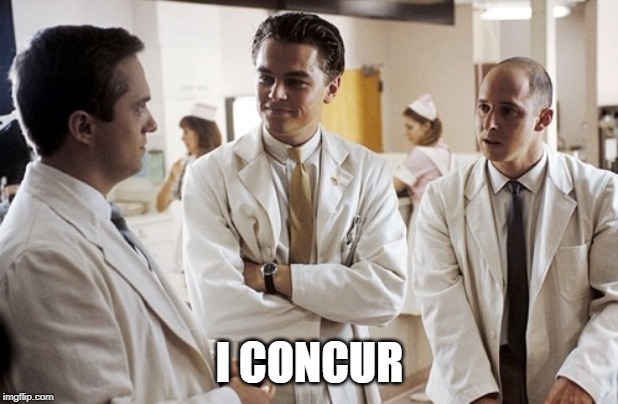 Yes, apparently he was annoyed with the mods for unfeaturing one of his meme. It was the last straw for him, but who knows? He might come back one day. there's a lot of negative talk about all this, but we can't give up or it really will sink. 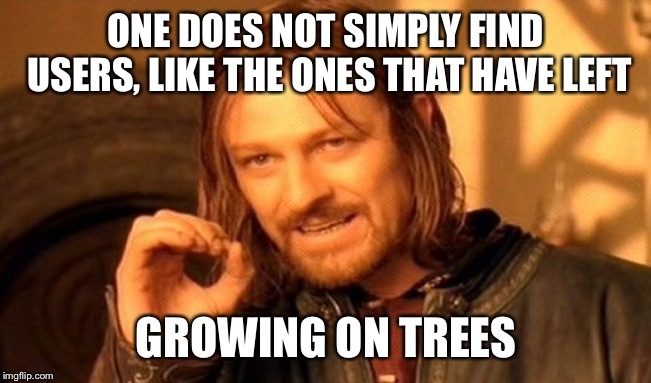 I almost regret making this meme, doing more harm than good kind of thing but i wanted to see if anyone with authority around here might discover it and take note. Dash was pissed because a seemingly innocent meme of his was pulled for no reason, and that was the last straw from what i can gather. His last comment on his profile page pretty much says it all. Raydog has said that he's frustrated and hasn't been posting much. CravenMoordik, Boma, TimidDeer, Giveuahint and many others have gone dark, and BenToutashape and RedRedWine both deleted. I know there are others but dang it just seems everybody is frustrated with the site. anyways, i'll still be on here memeing and commenting as much as i can, been busy so not quite as active, but not considering any drastic measures at this time. I am just taking a break. It has nothing to do with mods or the different streams (which I support) or others leaving. I’m taking a break because thinking up new jokes was starting to feel like a job instead of fun. That and the weather is finally getting nice enough for me to get busy working again on my 1850’s home. Sorry I missed your birthday Nix, I was even in Georgia that day! (Savana was fun) And Thparky, I waved as we drove through SC. But got to go again. Time to head out with the parents. Take care bud, enjoy working on the house, that is very rewarding work. i stalked the site for entertainment months before i ever made an account about 6-7 months ago, it used to be way more active and user friendly before...there was something to be said for the simplicity that was there. Don't get me wrong, there have been some nice changes made, especially to the meme maker and gif maker, but the overarching changes with streams and weird random features is a bit too drastic i think. Maybe the folks that were used to the old way just didn't like all the change. 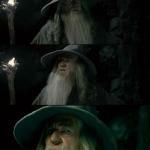 But the general perception i have is that people are getting fed up and leaving, which isn't cool.